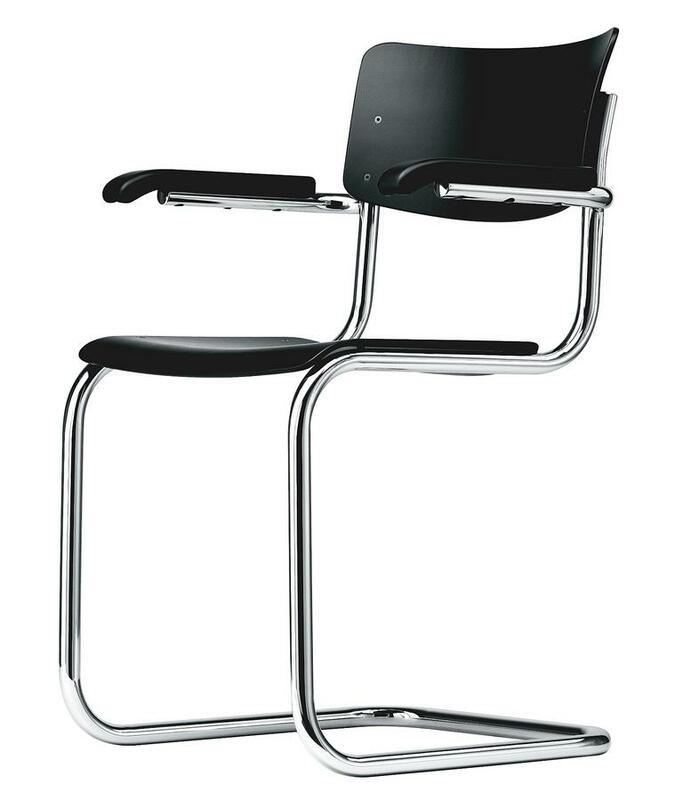 Created in the course of the Bauhaus movement of the inter-war years the Thonet S 43F cantilever by Mart Stam is perhaps one of the best representatives of the goals the movement hoped to achieve. Formally reserved, the design pushes the functionality of the object to the foreground, the tubular steel frame feathering the chair, and thus enabling the high seating comfort. The S 43F has, unlike the Thonet S 43, armrests. Datasheet Please click on picture for detailed information (ca. 0,9 MB). Is it possible to retrofit felt glides to an S 43F Classic? Felt pads can be ordered through smow and all Thonet cantilever today have as default pre-sited docks for such. With a 4.2 mm drill bit (available at any hardware store or alternatively the special-hardened Thonet drill bis for 6, - EUR) you can bore the holes. The felt pads can then be attached using the supplied self-tapping screws. Should you have older chairs without the pre-sited docks, we can supply a guide to retrofitting the glides. 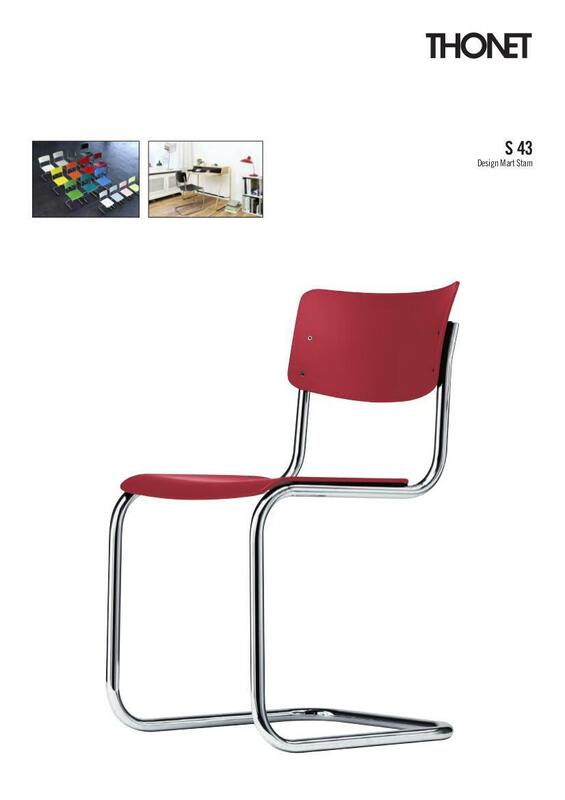 Can replacement seats or backs be ordered? Replacing seats and backs is not so simple with this particular model as the seat and back are not attached by screws but rather are riveted. In addition, over the years the contours and radii of the seat and back have changed. Consequently, depending on how old your chairs are, contemporary backs and seats may not fit. 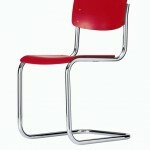 Therefore Thonet recommends chair frames be sent to the factory, where a new back and/or seat can be added. 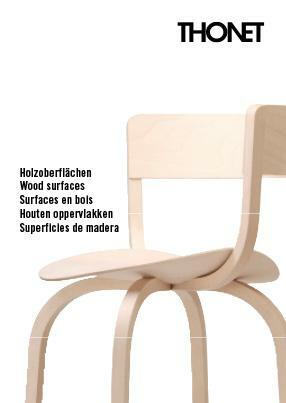 With the S 43F Classic Dutch architect and designer Mart Stam gifted the history of furniture another classic. 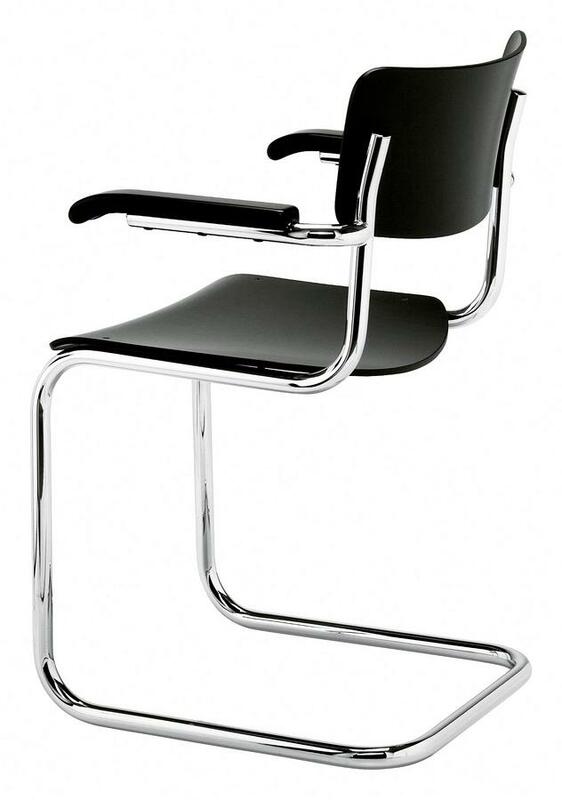 As early as 1926 Stam had exhibited a first version of a cantilever chair, the S 33; parallel Ludwig Mies van der Rohe presented his cantilever chair design at the exhibition "The Apartment" in Stuttgart's modern Weißenhofsiedlung. 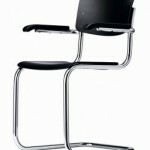 Defined by its reduced, very clear design and simple aesthetic the Thonet cantilever chair S 43F Classic. 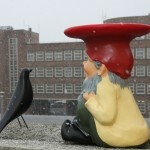 remains contemporary and relevant some eight decades after Mart Stam originally presented it. 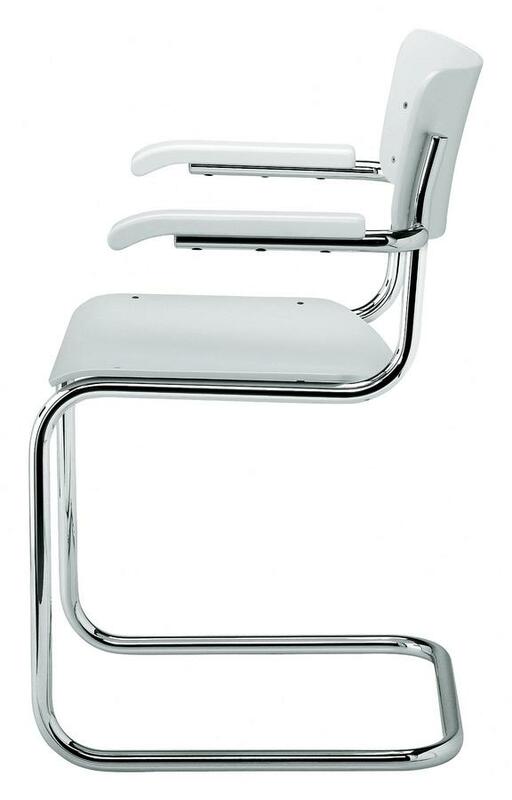 The phenomenon of the cantilever chair is closely associated with the Bauhaus. 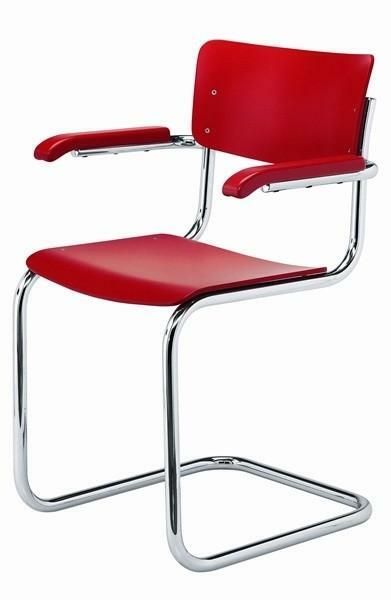 In the metal workshop of the school students experimented with the different properties of various metals resulting in the production of several tubular steel chairs; consequently, cantilever chairs such as the S 43 classic have become the epitome of the Bauhaus chair. 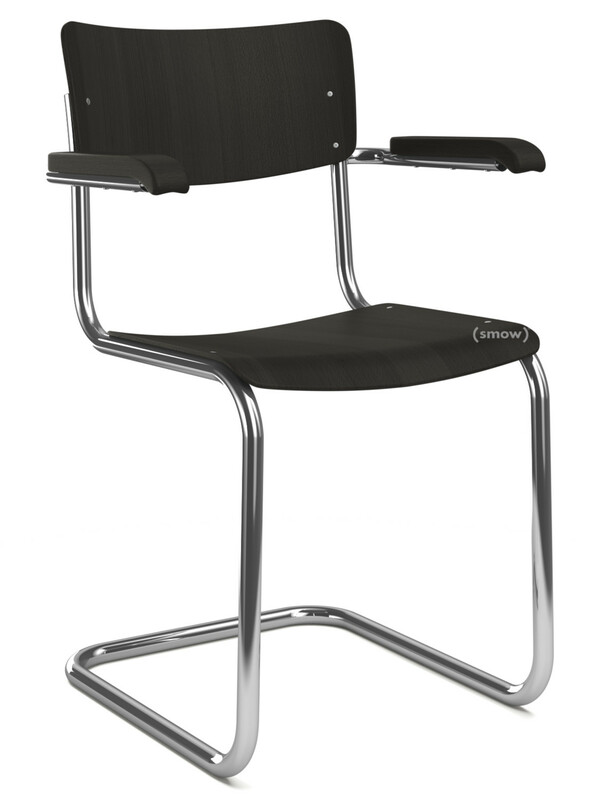 In contrast to other chairs of the era the seat and backrest of the S 43F are crafted from moulded plywood and - in comparison to the Thonet S 43 - the Thonet S 43F has armrests. 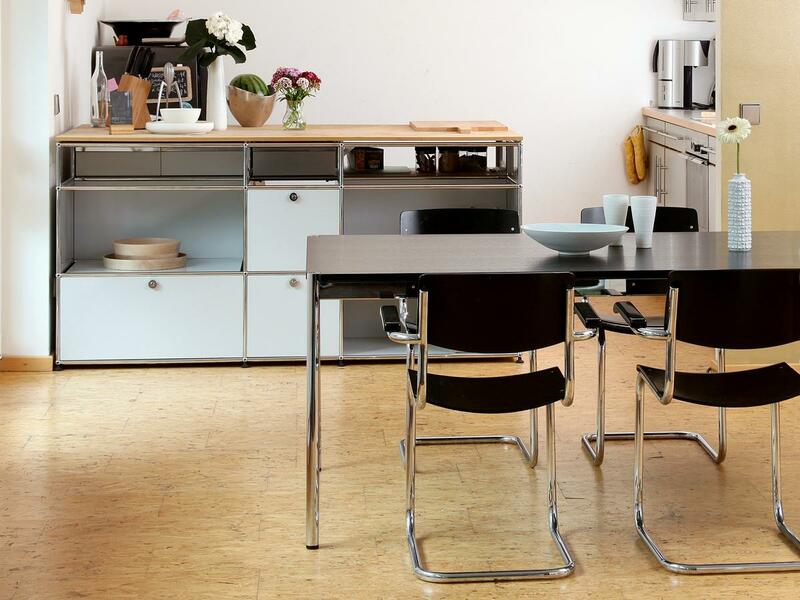 All Thonet furniture is produced at the company's factory in Frankenberg, Hessen. Founded in 1819 by Michael Thonet by the 1920s Thonet had advanced to become the leading manufacturer of steel tube furniture and produced from 1931 Mart Stam's S 43F. With the S 43F Classic ground or polished stainless steel is bent to form the one-piece chair frame. The moulded plywood shells for the back and seat of the Thonet S 43F made from selected non-steamed woods sourced from European forests, and are available in various finishes. Thonet places a particularly high importance on environmental responsibility in all aspects of their manufacturing processes and, for example, use an especially environmentally safe hydro lacquer which contains only 2% solvent. 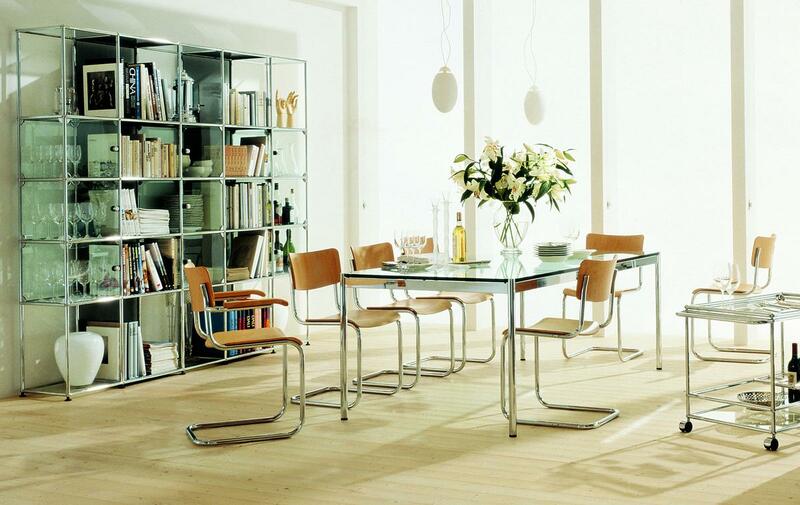 A further guarantee for the sustainability of the Thonet S 43F is the high quality of all materials used and their associated durability and very long life span. Steel tube base for the production of a Thonet cantilever chair. 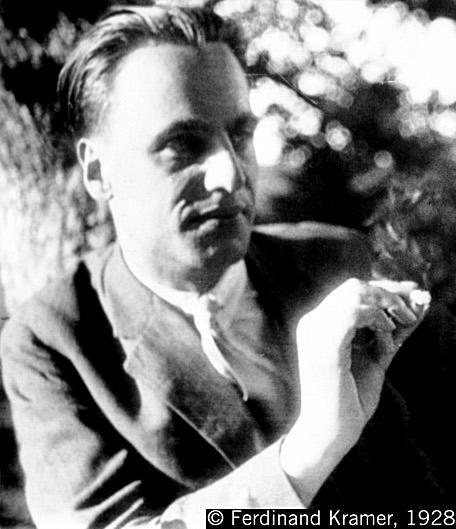 Born on August 5th 1899 in Purmerend, Netherlands, Mart Stam spent a large part of his life in Germany, Switzerland and the Soviet Union. 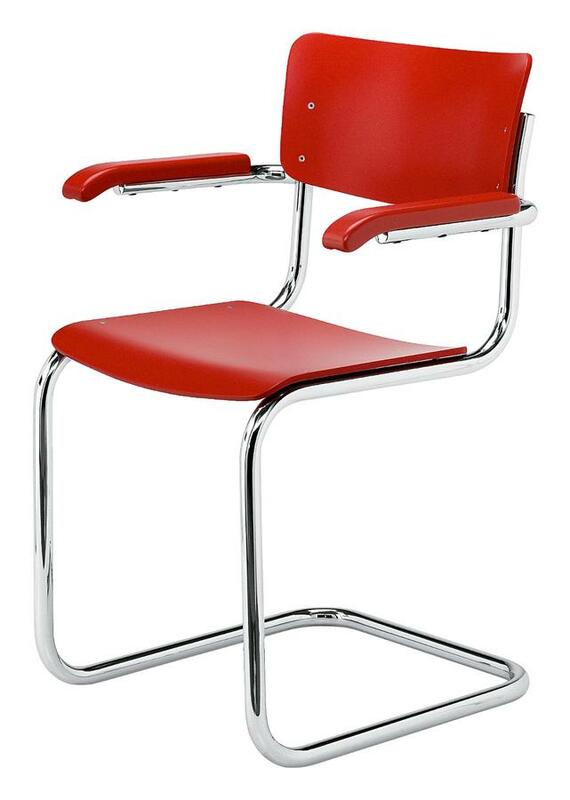 In the late 1920s Mart Stam enrolled at Bauhaus Dessau, where he was ultimately to design his cantilever chairs. 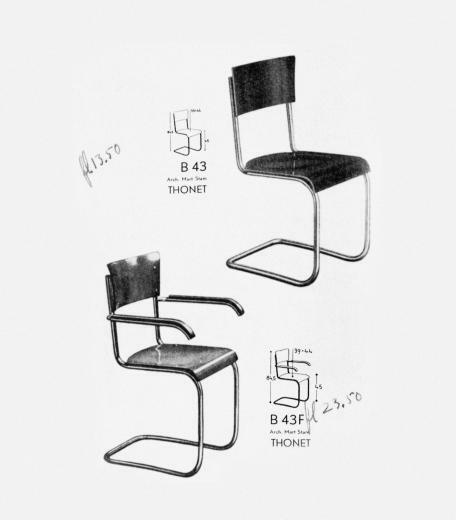 In 1930 Mart Stam went and his wife Lotte Beese travelled to the USSR, where he spent four years working on urban planning projects - and in 1931 designed the S 43F for Thonet. In 1935 Stam returned to the Netherlands, where he worked as an architect in Amsterdam. In 1948 he was appointed director of the Academy of Arts in Dresden, and in 1952, the Academy of Arts in Berlin Weissensee. The 1950s formalism debate in the DDR however forced Mart Stam Weissensee to leave in 1952. In 1966, he emigrated to Switzerland, where he died on 23 February 1986. In 1819 Michael Thonet opened a building and carpentry business in Boppard am Rhein, Germany: a building and carpentry business which was to develop into one of the most ground-breaking manufacturer of designer furniture. 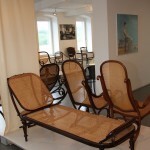 Representative for the early importance of Thonet is without question the bentwood furniture developed from the 1850s, works such as the coffee house chair 214. 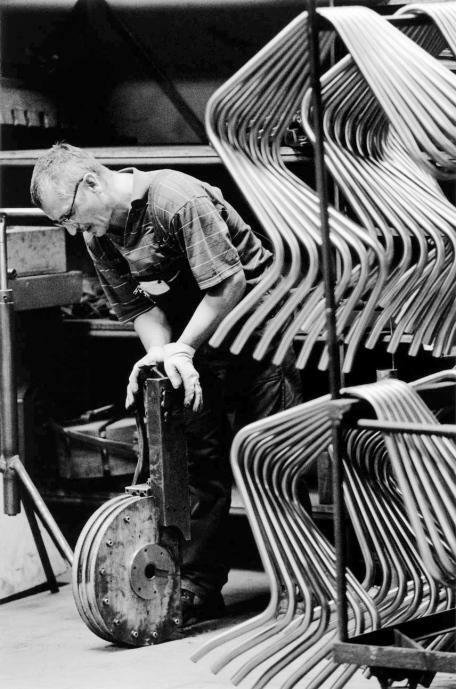 Later the company evolved to become the most important producer of bent steel tubing furniture, including works such as Mart Stam's S 43F or Marcel Breuer's S 32/64. In both cases it was the Thonet company that helped new materials and new manufacturing processes become possible, accepted and commercially successful. The manufacturing of Thonet furniture is undertaken today at the company's headquarters in Frankenberg / Eder in Hessen. 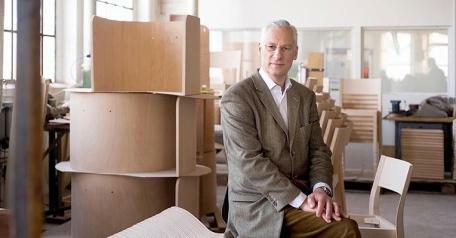 Thonet is currently led by Peter Thonet, a direct descendant of Michael Thonet. 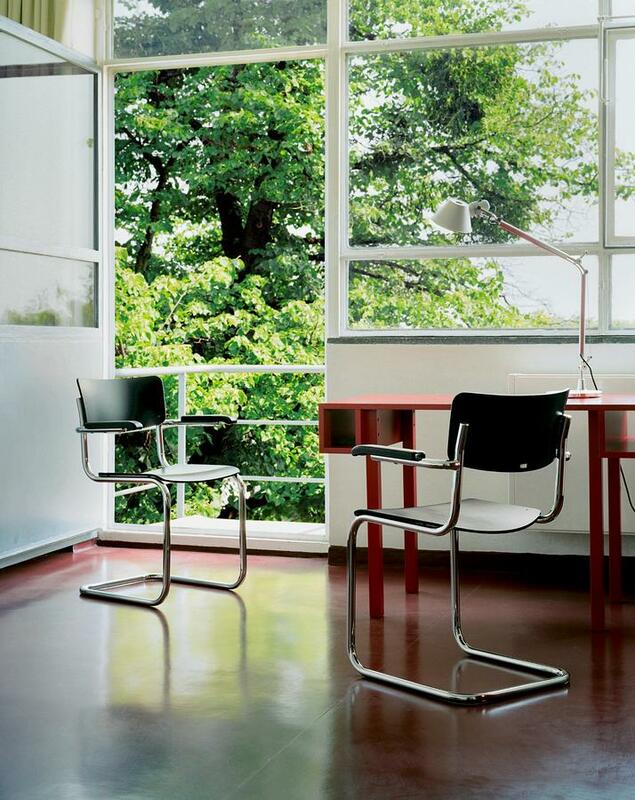 Next to the S 43F Cantilever the Thonet portfolio is home to many bentwood and tubular steel classics, as well as modern designs by the likes of James Irvine, Delphin Design and Stefan Diez.